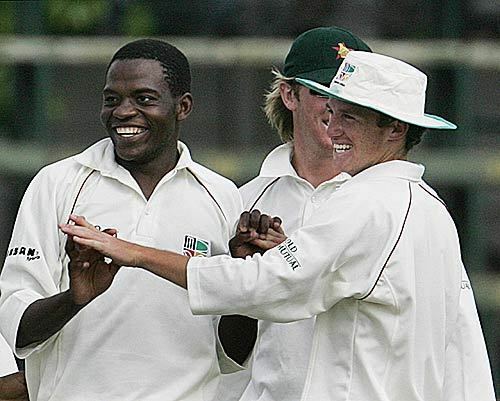 Ngonidzashe Blessing Mahwire (born July 31, 1982 in Bikita, Masvingo) is a Zimbabwean cricketer who plays first-class cricket for Mashonaland and has also made appearances for the Zimbabwean cricket team in both the Test match and One Day International forms of the game. He is a right-handed batsman and medium-pace bowler. His introduction to the game came as somewhat of a relief not only because he is a competent all-round cricketer, but also because he comes from a province in Zimbabwe called Masvingo, in which few cricketing roots can be found. His highest score at school was a 154 in Harare. He considers himself to be a "batsman who bowls", and is mainly used as a front-line bowler. Blessing Mahwire is a level 2 coach and will be playing for Stow C.C. (in West Norfolk, England) in the upcoming (2008) season as their overseas player.